Woo I’m back in Boston for the summer! After all the madness of finals and packing and moving and travelling, I finally landed back at MIT. And I wanted pizza. (So did Bobby.) So we made some. 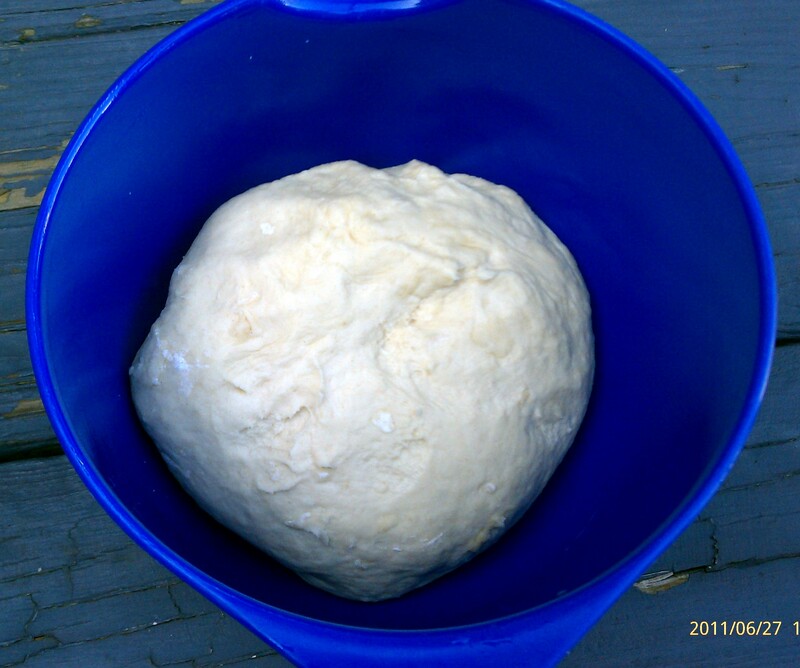 Pizza dough is actually incredibly easy to make, provided you have the right tools (i.e. a rolling pin…). I improvised, so my pizzas came out uneven and misshapen, but still crazy delicious. 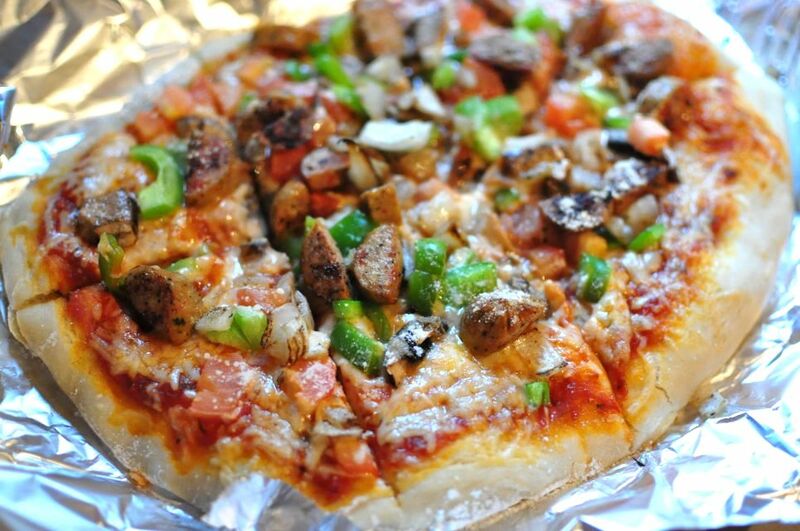 I used this recipe, and it made enough dough for two personal-sized pizzas. Please remember to flour your working surface. This dough is insanely sticky and fairly unforgiving in terms of sticking to every. Freaking. Thing. …including your baking surface. 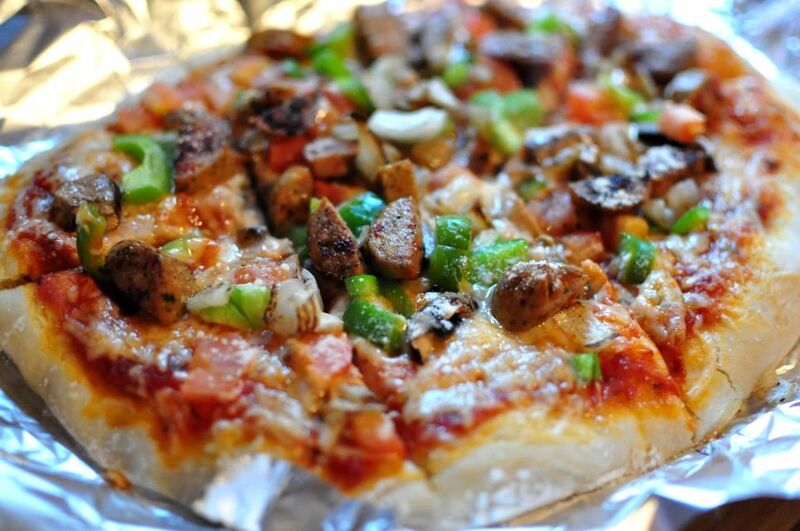 Especially if you lack corn meal and a baking stone like us, don’t forget to grease your aluminum foil! We put the pizzas on an upside down baking tin at 325 degrees for about 12 minutes, until the cheese started bubbling and the crust turned golden. Bobby’s pizza had chicken sausage, peppers, onions, and tomatoes on them. 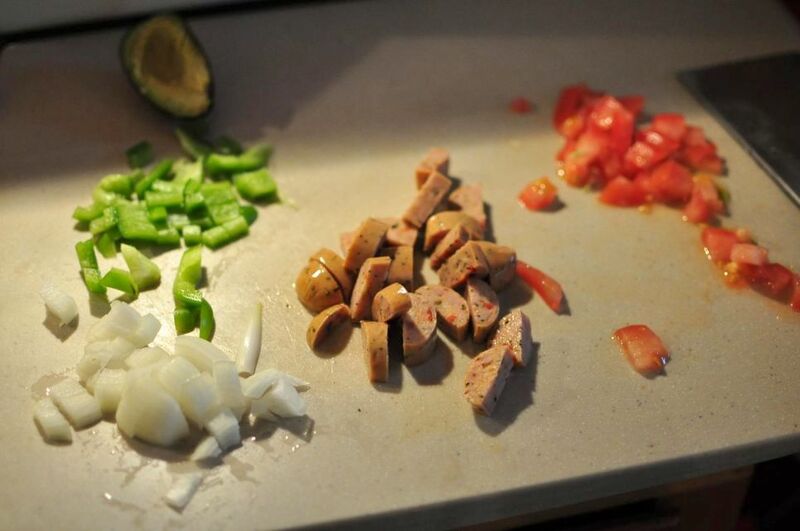 He put some diced avocados (as much as ripe avocados can be diced…) on top before eating. Mine had spinach, mushrooms, and tomatoes. Nom nom nom! Length of procrastination: 2 hours, including waiting time for your dough to rise.